We will offer ensuite rooms in our Glen Eyre university halls of residence, breakfast included. This should be booked at time of registration. 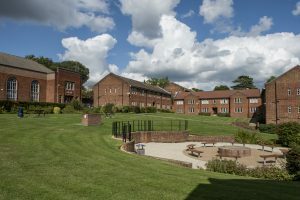 Glen Eyre Halls of Residence. Bed and breakfast – £55.00 per person per night for a single study bedroom with ensuite bathroom facilities. Full English breakfast. A hand towel, bath towel and complimentary toiletries are provided in each room. Each guest has access to a kitchen with tea and coffee making facilities and a microwave. There are also laundry facilities. Glen Eyre Halls are a ten minute walk away from the main Highfield campus, where we intend to hold conference sessions. There is limited car parking onsite, but parking in local residential streets nearby. Please contact us for more information if you intend to come to Southampton by car. The city is fortunate to be served by an excellent network of public transport and you can find more information on our travel informational page. 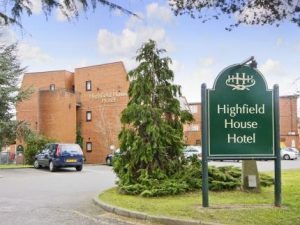 Accommodation for the Tuesday night (22nd August) before the conference starts, and the Saturday night (26th August) after the conference finishes, can also be booked if required. Please indicate this during registration. 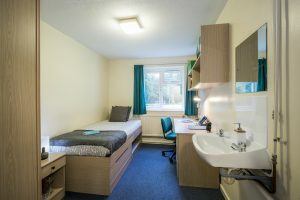 Accommodation off campus – there is a large amount of hotel accommodation available in the city, to suit all prices. This comfortable hotel is in the city centre. It has an indoor swimming pool and fitness centre. Each modern ensuite room has TV, internet access, tea/coffee making facilities, minibar, iron and safe. There is a restaurant and a bar onsite, and games available for children. The hotel is well served by public transport. Car parking is available and charges apply. 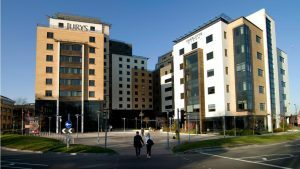 Jurys Inn Southampton is located in the heart of the city overlooking East Park and just a 15 minute walk from the Central Rail Station. The hotel is conveniently situated for all the city’s key attractions from the City Art Gallery, Seacity Museum, The Mayflower Theatre to WestQuay Shopping centre. With 270 spacious, comfortable hotel rooms, from the standard double to superior suite, Jurys Inn Southampton is the largest hotel in the city. Each room is en-suite and contains a flat screen TV with all the available freeview channels as well as free WiFi. Rooms have air conditioning, tea/coffee making facilities and hairdryer. The hotel has a bar, restaurant and a Costa Coffee bar. The hotel is a 30-minute walk from the University and is well-served by public transport (the Uni-link bus service). 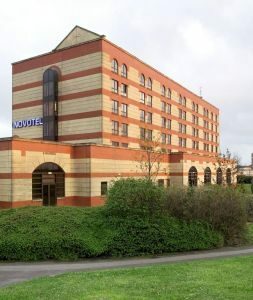 This hotel is one of the closest to the University and is regularly used by delegates attending University events. It is within 15 minutes walk of Highfield Campus. Highfield House Hotel is part of the Folio Hotels collection of three and four star properties with locations throughout the United Kingdom. Having recently undergone a £1.5 million refurbishment the Hotel now offers 71 bedrooms with a fresh and contemporary feel. Rooms include flat-screen LCD TV, tea/coffee making facilities, hairdryer, personal safe and iron. There is free wifi. All rates include a delicious traditional and continental breakfast. There is car parking onsite and Ceno’s restaurant is immediately adjacent, offering a menu of traditional and contemporary European cuisine. The hotel is adjacent to Portswood High Street in which there are a range of other shops and restaurants available. This small, privately-run hotel is located within a 15 minute walk from the university. It has guaranteed free parking for all residents and 27 bedrooms, all with ensuite facilities, TV, tea/coffee making facilities. There is a comfortable reception lounge, a Breakfast Restaurant and 'Lizzie's' Bar and Bistro offering a varied menu of our Chef's specialities. There is a tranquil town garden directly accessible from the bar. There is free wifi throughout the hotel.